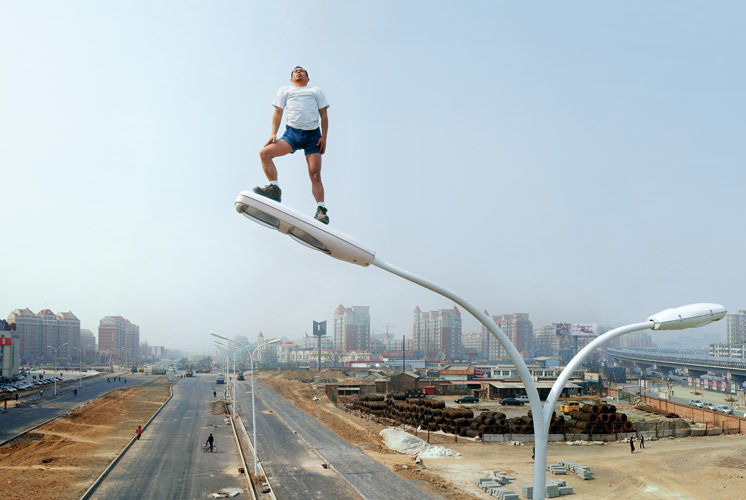 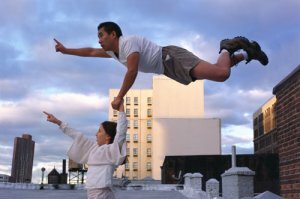 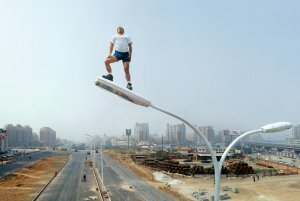 On the photos by an artist Li Wey from China are two main plots: somebody’s flying somewhere and someone’s already made it there. 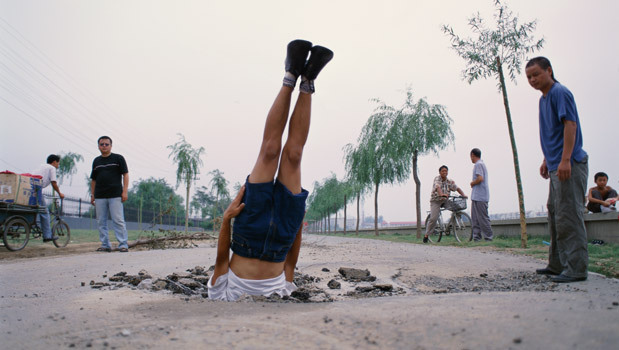 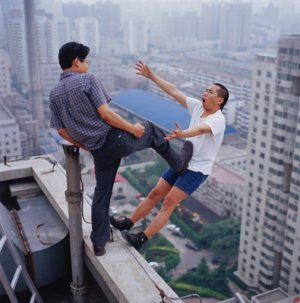 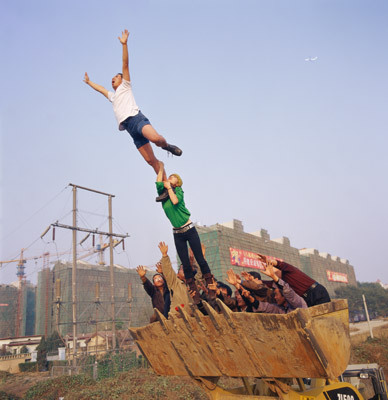 Lots of Chinese people are trying to reach the sky, and other Chinese people are actively trying to prevent that. Those that managed to get out and fly – stand still (with their knees above the head) and with the same angle.